We are an open, welcoming and evolving group led by One Earth, The Story of Stuff Project, The Sustainability Funders, the Lowell Center for Sustainable Production at the University of Massachusetts – Lowell, and Clean Production Action. We are active across the entire spectrum from extraction through to production, consumption and waste. Our activities span issues such as industrial ecology, wellbeing, toxics, and sustainable lifestyles. We have been working on these issues for many years and are enthusiastic about taking our efforts and collaboration to the next level of impact. We believe our progress is hampered by an approach that is often single-issue, fragmented, incremental, and narrow. We are coming together to collaborate and accelerate a large-scale transformation of our production and consumption systems that prioritizes the wellbeing of people and the living systems we depend on. 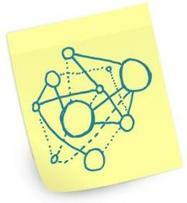 We are experimenting with a systems approach to foster collaborative networking opportunities. We are eager to explore if this leads us to high-impact actions that scale up systemic change in sustainable consumption and production. Our desired outcomes include tangible impacts in consumption and production systems and greater alignment in achieving big, bold, lasting transformative change. growth is simply getting bigger." Working separately does not accelerate change at the speed or scale we need. Complex problems require a unique form of collaboration, one based on a systems approach. Inspired by existing networks using a systems approach to act on complex problems, we are taking a wider and longer view so we can catch undermining effects – such as increasing efficiency in cars and then polluting the same amount by driving more – and focus on implementing transformative long-lasting solutions – such as designing walkable cities. "Faith is taking the first step even though you don’t see the whole staircase." This is uncharted territory. We are taking innovative actions and experimenting together with curiosity, bravery and optimism in order to find those illusive breakthrough actions to transform how we consume and produce. We join many others in catalyzing a big shift to living well equitably within the limits of living systems. A systems approach helps us identify relationships among elements in a complex system in order to build a shared understanding and move from addressing symptoms to creating transformational change. 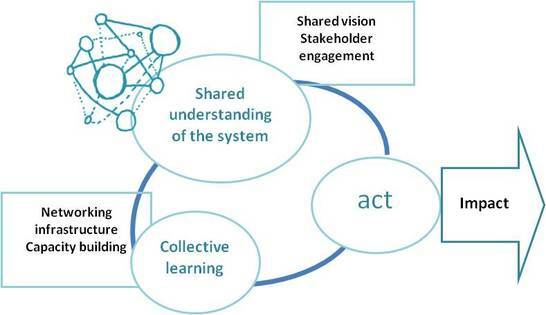 By taking a wider view of systems elements and their interconnections and by adopting a long-term perspective, there is the potential to collectively identify breakthrough solutions for action. Dynamic complexity – There are lots of interconnected parts to the consumption and production system. Cause and effect are distant in time and space and subject to surprise and unexpected interactions. Problems need to be addressed ‘systemically’ as opposed to one issue at a time. Social complexity – No one person can dictate the best action because there are too many interconnected parts. We need the perspectives and participation of many people in order to co-create and implement solutions. Generative complexity – This is foreign terrain. There are no ready-made solutions to this challenge that can be used as a guide. The future is unpredictable and unfamiliar, and solutions need to emerge through experimentation as the situation unfolds. As we develop our initiative, we are inspired by different approaches to effective collaboration that support collective impact. We will work with cutting-edge visual mapping, foresight tools, rigorous research, and ‘social technologies’ that enable collaborative problem-solving and creativity to address complex challenges.